If you are a blogger then you must aware with SEO and its tools. A webmaster and a blogger will always look for the variety of techniques via they can boost u their site clients and readers. 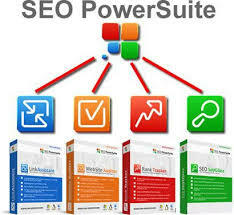 Here is the complete review of SEO Powersuite. You will check out some new tools related to SEO and it provides the best result for your blog and website. There are multiple features available like you can research your keywords. There are lots of different sites are available where you can check your website and blog performance also check the backlinks. You can check out and configure your competitor's website. It will track your website rank. Well, if we are talking about SEO PowerSuite, then let me clear about this, it is made up of four amazing software tools in one pack that, when put together, it provides the guaranteed leadership in search engines and new streams of visitors. You can check out all SEO tools one by one, and decide to invest in just one or two out of four for the good start. You have to give it a try because I am sure you will definitely enjoy it. Traffic is also one of the important parts of blogging. After reading this review, you will also notice that it will also generate huge traffic for your site. Delivers reports to demonstrate progress to members. This tool is very much effective and useful. As the name suggests, link-assistant is the best SEO feature which enables you to configure your site and blog results. With the help of this tool, you can manage your link building campaign at one place. You can configure your email directly in the tool and send as well as receive the emails as soon as possible. You can build high-quality links as well as it is safe for Penguin and Panda updates. Link-Assistant provides not only a good Search Engine Optimization tool but also a rich environment where the clients and bloggers can improve their SEO knowledge and skills. Link Assistant will track all search engines every 12 minutes. It gives the uptodate results. You can easily manage your backlinks and check the full report of your site performance. It will manage your link profile regular time to time. Store your link profiles information. Verify your website and blog backlinks. Monitor and report the link profile growth. All in all, the main motive of LinkAssistant is providing the quality link building that actually benefits your site's visitors and your search engine rankings. It will also helpful to raise your site or blog traffic. Configure the Duplication titles and popular pages on your site/blog. Find out Meta description errors. Deep analysis over gave links. It is the another most important features of SEO Powersuite. If you are not enjoying its features and not satisfied with the tools then do not need to worry. It is a trust-worthy site. It will return your money if you report them. They will return your money within 30 days. If you think that the software does not perform well, then you can contact with the team. The team is fully professional and always ready to help you in any case. If you choose to invest in SEO PowerSuite tools, every paid edition of SEO software is covered by an unconditional 30–days Money–Back Guarantee. The professional team will always support you in any manner. Checking rankings for keywords (Rank Tracker)- It is a superb feature of SEO Powersuite, because if you are running many sites then they will recognise your site ranking, plus it will provide you the report of your site ranking. They will also search the richest keywords for which your site will appear on Google pages. Keyword research- Keyword research means this site will search the richest and popular keyword for which your site will appear on Google pages. It will pick the most profitable keywords for your SEO campaign. Structure and HTML-coding analysis (WebSite Auditor)- Website auditor is an amazing software via you can decode the language. The language used in this software is quite easy, and it will optimize the coding language plus enhance the content. Content Optimization (WebSite Auditor)- It will optimize your content and articles. You have not to worry, they will present you the full report of your site performance. The site traffic will be updated within 12 minutes. You can also check how your competitors are handling on-page SEO. It will also handle all the technical issue. Link building and management (LinkAssistant)- Generating link is one of the difficult tasks. It will take huge time. Backlinks are really very helpful for your site. Link Assistant will track your links. Also, it will detect the spammy and broken links. Forming a link building strategy (SEO SpyGlass)- Spying is really a fun material. It will detect your competitors site and also noticed what your competitors are up to. They will also teach you how to create links and how to generate huge traffic. It will compare your backlink profiles of several websites and blogs. So, in the end I would like to say that it is not a bad proposal. If you give it a try, then you must enjoy its features and tool. You have to pay something for using its tools. It is affordable and you will surely enjoy its company. Also, it will help you to boost blog traffic. We know that traffic is a first priority of any blog or website. And in case, if you are not satisfied with it then do not need to worry, they will return your money within a month. But I personally recommended that you have to try it for once.